Why Mason? After earning her associate of arts degree in speech (she was class valedictorian), she started looking for a four-year university to continue her studies. She researched ones with the best forensics teams and discovered Mason. This year she placed in the quarterfinals nationally in informative speaking, communication analysis, and after-dinner speaking. 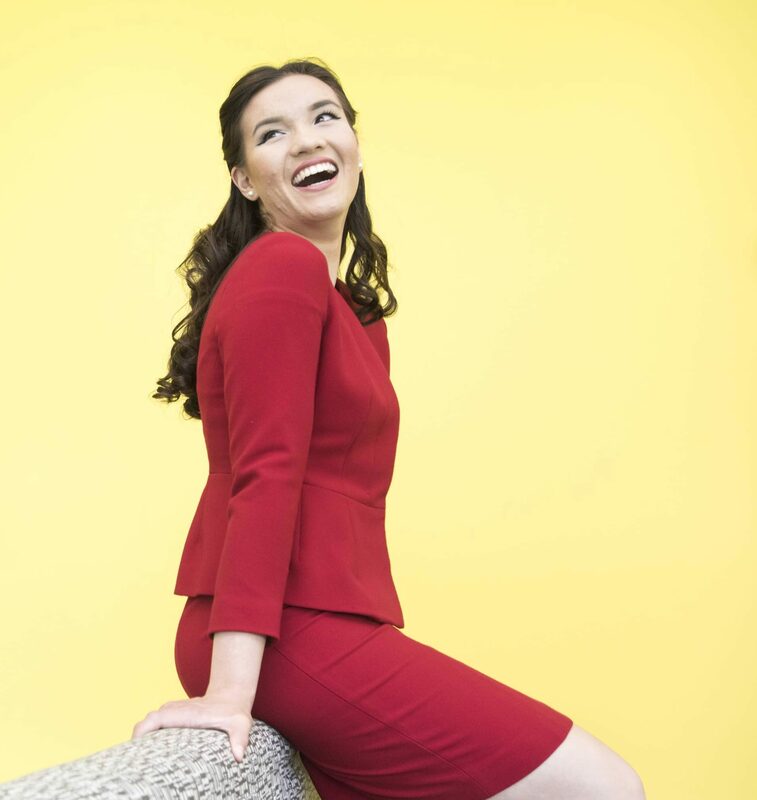 Leading by Example: While at Mason, she worked with high school students at the George Mason Institute of Forensics, which is held in Fairfax each summer. This past summer she travelled to Mason Korea with Forensics Team director Peter Pober and other coaches to help with the 2017 International English Speech Competition. Who’s Your Doctor? Lai is a huge fan of BBC television series Dr. Who and actor David Tennant, who is best known for playing the Tenth Doctor. She says one of the perks of being on the East Coast was the ability to head up to New York City and catch Tennant on Broadway when he appeared as Richard II. She waited outside the stage door and was able to get a photo with him.